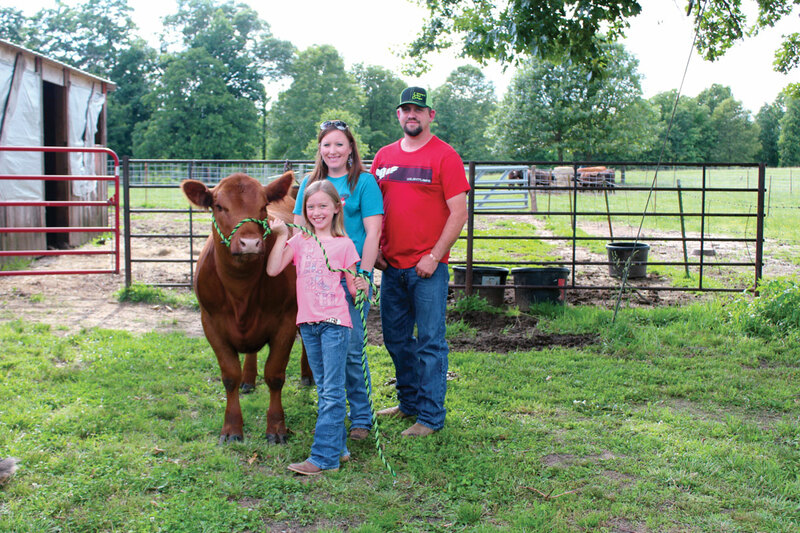 Not many couples receive 10 cows as a wedding gift, but for Shannon and Miranda Lowrey, this allowed them to establish Lowrey Red Angus and provide their 8-year-old daughter, Danica, with the opportunity to raise and show cattle. 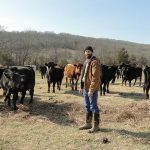 The Lowrey family resides near El Dorado Springs, Mo., and still owns the 10 commercial crossbred cows they received as a wedding gift from Miranda’s grandparents, Melvin and Frances Marshall, in 2008. They ventured into the Red Angus breed last year when Danica started showing. 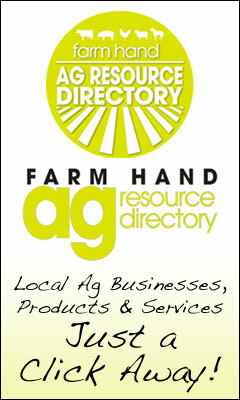 Currently, they own seven registered Red Angus cows. Shannon and Miranda decided to pursue the Red Angus breed because they liked how they maintained condition on grass and mineral alone. 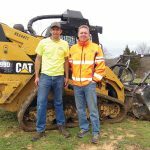 After extensive searching for a reputable breeder, they met Dan Lacy from Drexel, Mo., and quickly developed a friendship. “We called Lacy up, and he adopted us. He has done everything he could to make sure we make it as a registered breeder,” Shannon said. The Lowreys look to Dan for advice, especially when it comes to embryo transfer. They work in partnership with him to implant Red Angus embryos in their commercial cows followed by AI and a Red Angus clean-up bull. “I synch my cows with Dan’s flush cows. I haul them up there on flush day. He flushes the cows and then puts the embryos in fresh. I took nine cows and all but one took the embryo,” Shannon exclaimed. Traveling does not hurt the process, in fact it is encouraged. Transporting the cows on the same day ET is done will help the embryos settle. “He told me the same thing on AI. If you are going to move them, move them within the first 36 hours after they are AI’d. The risk of them sloughing it off is higher the longer you wait to move the cows,” Shannon explained. Ninety days before ET and AI, each cow will be given an injectable mineral called Multimin 90 to boost fertility. All ET cows are vaccinated for reproductive diseases 30 days before receiving the embryo. The Lowreys administer two rounds of dewormer, instead of one. Round one consists of Ivomec injectable followed by Longrange 50 days later. Shannon does not push grain, but he does give his cattle salt, iodine blocks and mineral tubs. He does rotationally graze, but is limited on acreage. They weaned their first set of registered Red Angus bulls and heifers in May. They are marketing the calves available for purchase through private treaty. 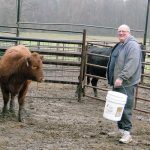 “I have my first set of bulls I am feeding out. Hopefully I will have some luck selling them. Danica is going to show one of the heifers,” Shannon said. As maternal seedstock producers, their goal is to raise calving ease bulls that will maintain condition on grass and mineral. “I would like for all my bulls to be all calving ease. I know a lot of guys like to see a 70- to 80-pound calf born. We have been down that road with the commercial Limousin, having to pull calves and losing calves. I would rather have a little live one,” Shannon remarked. Danica began her showing career in 2016 with a Red Angus heifer purchased from Lacy. She showed at several county fairs, such as, Cedar, Dallas, Christian and Cass. Danica is showing two heifers this year. One bred-and-owned heifer and one purchased from Lacy. 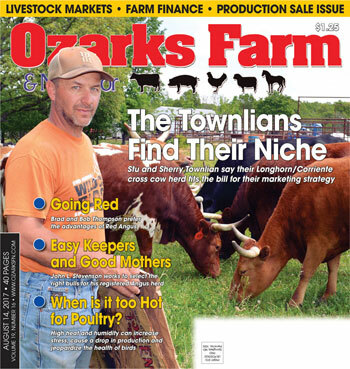 The Lowreys plan to stay with the Red Angus breed and eventually replace the older, commercial cows with registered Red Angus cattle. They would like to expand their herd and increase the quality of their genetics. Shannon is a dealer for Missouri Livestock Supplements and works off the farm for the city of El Dorado Springs. Miranda works at 3M in Nevada, Mo., and Danica is in third grade at the El Dorado Springs Christian School.